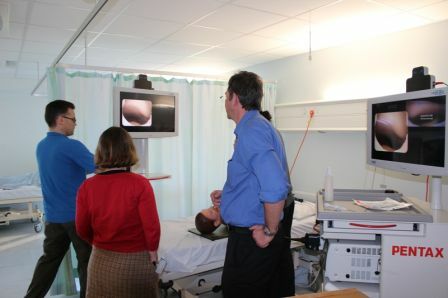 The course is aimed at Respiratory, Anaesthetic, Intensive Care, Cardiothoracic and Core Medical Trainees. The entry requirements are; basic understanding of bronchoscopy procedure as per pre course ‘Pocket-Book of Bronchoscopy: A beginners Guide’ and the current British Thoracic Society guidelines. 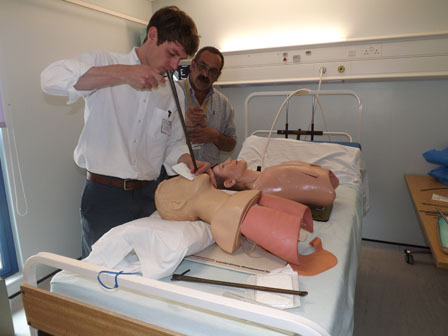 The course aims to familiarize candidates using simulation bronchoscopy with bronchoscopy procedure, consenting, sedation and bronchial anatomy. 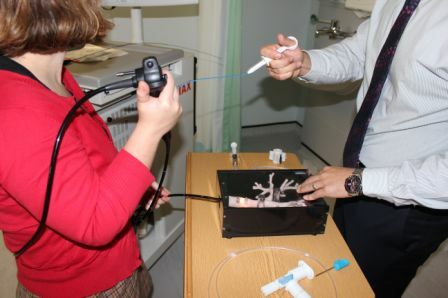 In addition, candidates will have opportunity to practice using a simulator technique of navigation of bronchoscopy, recognizing segmental bronchial anatomy and perform bronchial wash, brushing and biopsies. 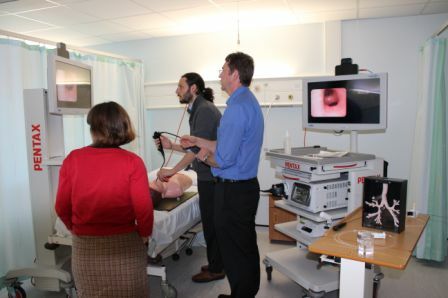 At the end of the course candidates should be able to have theoretical knowledge of bronchoscopy procedure including indications contraindications, conscious sedation and complications of the procedure. 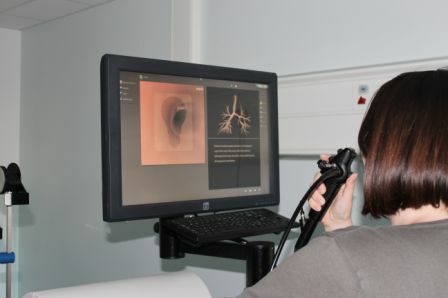 In addition, candidates will be able to acquire skills using a simulator, of manoeuvring of the bronchoscope, being able to recognize normal anatomy as well as having understanding of sampling such as bronchial wash, brushing for cytology and bronchial biopsies. This course will be held in the Clinical Skills Facility at Hull Royal Infirmary. To book onto this course please complete the EYSE Application Form and forward to Jacqueline Platts, EYSE Administrator. 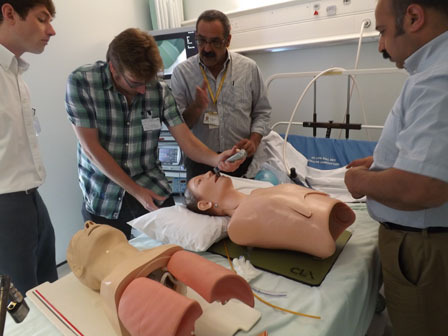 For further information about simulation in bronchoscopy, please read our article Developments in Simulation Bronchoscopy Training published by the Open Journal of Respiratory Diseases, 2013.